It’s no joke. 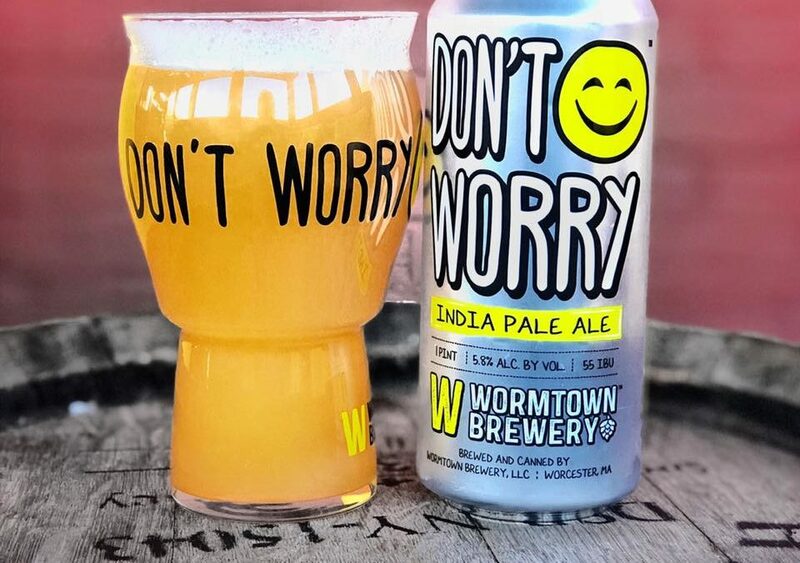 Starting April 1st, Wormtown Brewery’s popular flagship IPA, Be Hoppy, will have a companion – Don’t Worry, a hazy, tropical East Coast style IPA that will be available in limited quantities all over Massachusetts, as well in New Hampshire and Rhode Island. “It’s the largest single canning run we’ve ever done,” said managing partner David Fields on Monday, estimating that some 3,000 cases of 16-ounce cans were packaged and ready for shipping. 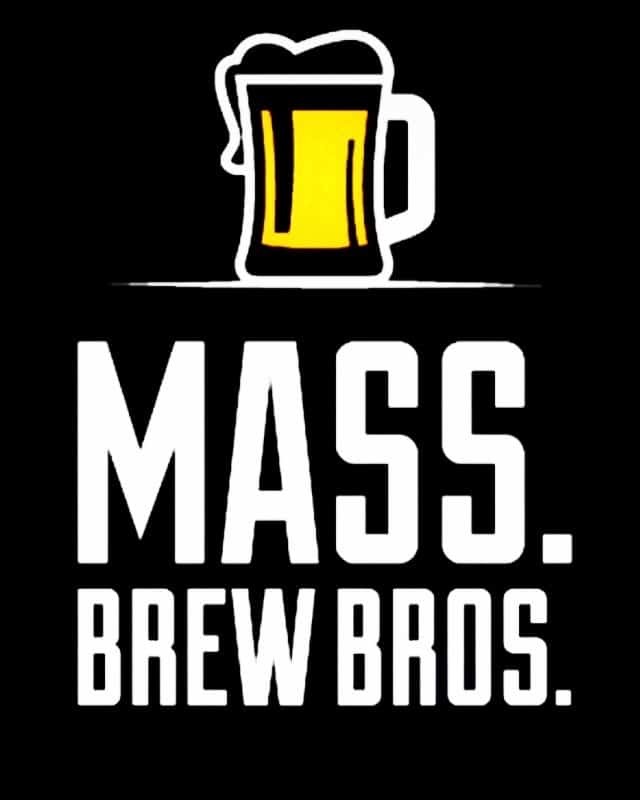 Consumers should start seeing the familiar looking cans on shelves around April 1st, and it will start pouring in their Worcester taproom next Tuesday. Intended to be a full-scale, year-round distribution offering, it’s what they call a Right Coast IPA, with an amber haze, big tropical fruit aromatics, and a touch of juicy hop bitterness. The motivation behind the new beer was to give hop heads another option to go along with their well known Be Hoppy IPA, more of a West Coast style. “We wanted something that was closer to the East Coast hazy style, but not a full-on NE IPA,” explained founder/brewmaster Ben Roesch. “It’s got the citrus up front, but a nice bitterness on the back end.” Don’t Worry also has a different hop profile said head brewer Scott Drake, noting that it features Mosaic, Idaho 7, and Dinali (Experimental 06277), and is dry-hopped with 2 pounds of hops per barrel. Don’t Worry first debuted at BeerAdvocate’s IPA Fest back in December, and was met with rave reviews as a limited release in their Worcester taproom. Pre-orders for the new brew were off the charts said Fields, who added that IPA fans will see it regularly on beer store shelves going forward. Fields explained that having a partner beer for their popular flagship Be Hoppy, most of which is sold through keg accounts, only made sense. He intends to market and sell this new offering primarily as a canned offering through liquor store retail outlets. Other exciting developments for Wormtown include its agreement to become the official hometown brewery for the Worcester Red Sox in 2021, as well as plans to ramp up production and distribution of its Mass Whole Lager later this year. Made exclusively with Massachusetts grown hops from Four Star Farms and grains from Valley Malt, the American Lager should be widely available this summer in six-packs of 12-ounce cans. The state’s seventh largest brewery also experienced continued growth in 2018, producing some 24,500 barrels, an increase of 13 percent. And while he’s not ready to share publicly just yet, Fields says Wormtown has some exciting announcements ahead.